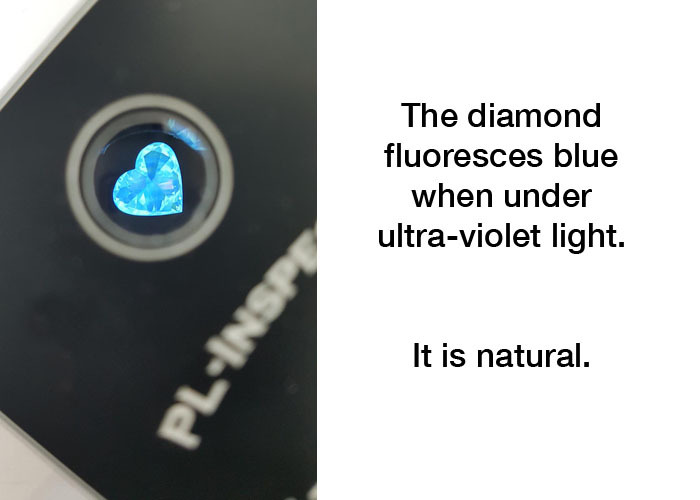 This is a fancy yellow diamond that fluoresces with a blue colour when illuminated by ultra-violet light. It is a good example that demonstrates how you can tell the difference between a natural and a synthetic diamond. 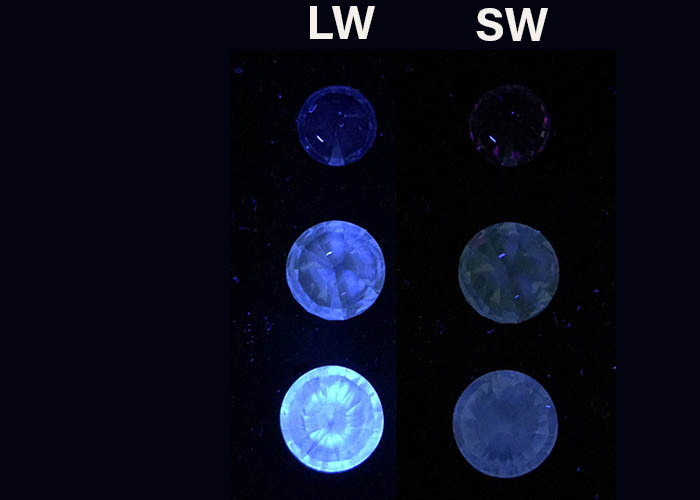 The bright fluorescence seen under LW (long-wave ultra-violet) and SW (short-wave ultra-violet) indicates this is a natural diamond, rather than a synthetic diamond which would show only weak fluorescence. 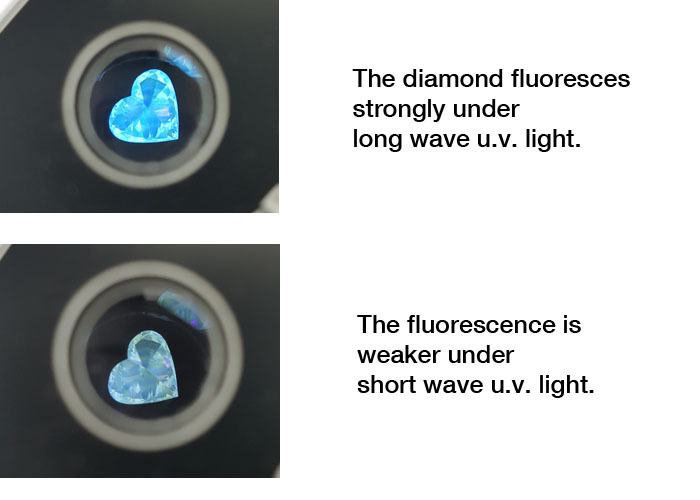 Notice from the images that this diamond fluoresces strongly with visible blue light when irradiated with long-wave ultra-violet, and also fluoresces under short-wave ultra-violet, although more weakly.